 Focus Wales Music Festival and Conference takes place from Thursday 16th until Saturday 18th May 2019 offering music, comedy and interactive happenings at various venues in the town centre of Wrexham, in North Wales. Confirmed acts include Boy Azooga, The Lovely Eggs, BC Camplight, Kero Kero Bonito, Cate Le Bon, The Beths, Life, Lizzy Farrall, Neck Deep, Skindred, Islet, Art School Girlfriend, Seazoo, Martyn Joseph, Ani Glass, Dan Bettridge, I SEE RIVERS, Kidsmoke, Rachel K Collier, and many more, with more to be announced. Tickets are on sale, currently priced at £40. Now in its ninth year the event will be held entirely indoors, and will showcase live performances from a collection of acts of Welsh origin throughout weekend, including special guest headliners, and selected International acts - alongside music industry panels and discussions, featuring experts from all sectors of the music industry. Industry speakers for 2019 include Martin Elbourne (Glastonbury), Bev Burton (Cambridge Folk Festival), Kaptin Barrett (Boomtown), and Rebecca Ayres (Liverpool Sound City), Ruud Berends (head of the Eurosonic conference, ETEP manager and Networking Music founder), Abbie McCarthy (BBC Music Introducing), Ed Lilo (Latitude Festival), Karma Bertelsen (Kilimanjaro Live), Lio Kanine (Kanine Records, USA), Johnny Marlow (BreakOut West, Canada), and Michael Lambert (Wide Days, Scotland), plus Silvia Suarez (Speed Sound/MUSES Live, Spain) and Wally van Middendorp (In de Goot Entertainment).